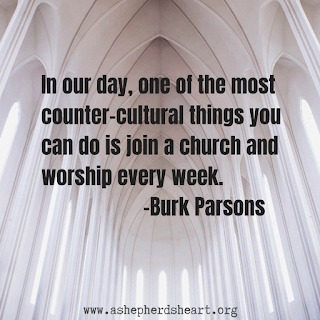 A Shepherd's Heart: Worship...It's not just for the holidays! 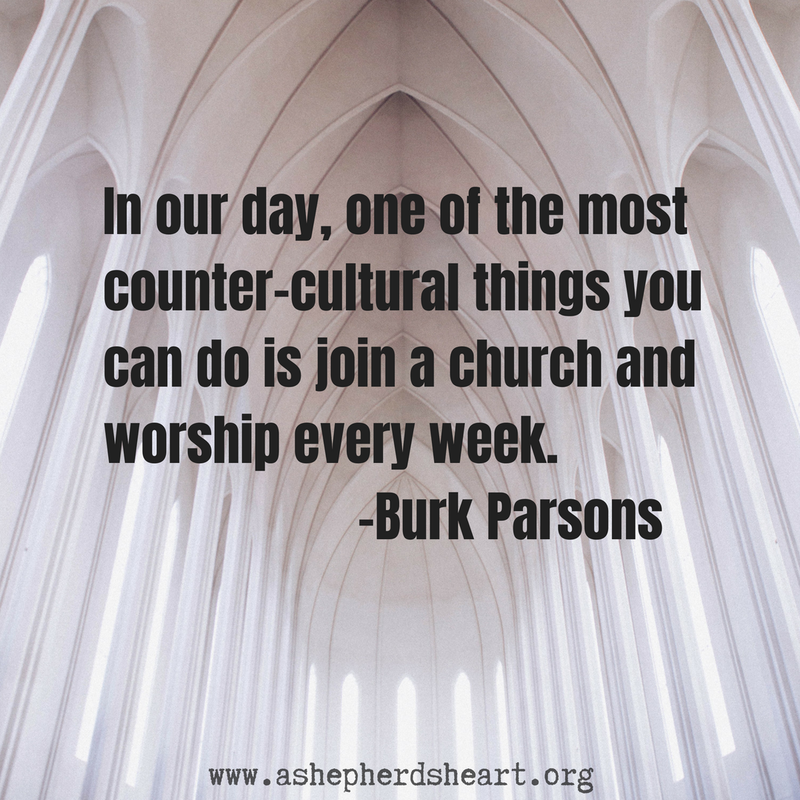 The culture we live is vying for us to follow them and in many ways, it wants us to worship it. However, we are called to worship an audience of ONE...The Lord our God! We're to love God and not this world or the things of this world. We need to remember that the trappings of this world or temporal and everything will pass away but God and things of The Lord are eternal. We're to be in and not of it as we're not to conform to this world. We're to be different and shine His light into the darkness. This is counter culture but we're either going to be In Christ or we are not. Worship and being an active part of The Body of Christ is a vital part of our faith and walk in Christ. This is also counter culture. We are called to worship with our lives and God's Word also places special emphasis on gathering together weekly to be instructed in The Word, Worship in Song, Fellowship, Give God the first fruits of your labor through your tithes and offerings, Caring for one another and more. We shouldn't make gathering weekly a "sometimes" thing like only during special holidays. We also shouldn't make attending and being committed to the local church something that we do only when we "feel" like it because feelings come and go. No, we should be committed to the local church because God instructs us to do so and He knows what's best for us! You and I shouldn't attend out of legalistic reasons or just out of "obligation", rather, we should want to to be committed to attending because you know God wants us to do so. Worship is a gift from God that in turn we give back to Him through our lives and weekly in a corporate setting or whenever or wherever you gather together with other believers. So, worship with your life and worship in connection to your attendance and heartfelt commitment to the local church because of God's great love for you and because The Body of Christ needs you as The Body isn't a complete body without you. P.S. Please share this encouragement with others. P.S.S. Please pray for me as with any self funded ministry, (I work full time to provide for my family and to do His kingdom work) resources for projects are limited. Please pray with me as I'm currenlty working to acquire a specific type of DSLR camera to be able to do enhances biblical encouragement videos as well as still photography for projects as well. Thanks for your prayers!